We’re bringing you one more dazzling deal today. If you’re in the market for jewelry, Macy’s is selling the B. Brilliant Pink Cubic Zirconia Square Stud Earrings in Sterling Silver (22 1/2 ct. t.w.) for just $32.50 (regularly $130). 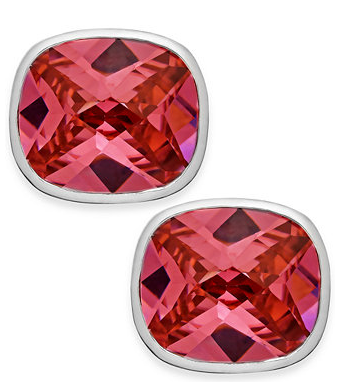 The earrings feature cushion-cut pink zirconia stones with an approximate diameter of 5/8 inch. Brighten this deal even more by adding coupon code “SHINE” at checkout. This will take an additional $4.87 off the earrings as part of the Macy’s 15% off promotion on selected sale and clearance jewelry items. Note that you may want to act soon, as the extra 15% off coupon code offer ends Feb. 9.